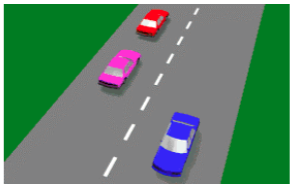 In this practice test you will be required to answer all 30 questions about negligent driving from the Driver Knowledge Test Question Bank. Check for parked vehicles with turn signals on, or children about to step out. Stop, if you see a car with its right-hand indicator on. Sound your horn and flash your headlights to warn drivers not to pull out. If you do not have a clear view of any approaching traffic. If you cannot see clear road ahead for 100 metres. If you cannot see clear road ahead for 75 metres. Keep to the left and slow down. Flash your headlights to warn oncoming traffic. Increase your speed and sound your horn. The other vehicle is turning right. You are travelling at more than 80 km/h. The other vehicle is going slower than you. You can see the overtaken vehicle in your rear vision mirror. An oncoming car appears over a hill. 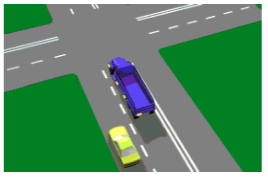 The driver of the vehicle signals it is safe to do so. Keep to the left and let that driver overtake you. Speed up so that the driver will not have to overtake. Signal the driver to remain behind you if it is travelling too fast. More distance and time you need to overtake. Less time you need to overtake. Closer you must get before starting to overtake. Wait for a better opportunity with more distance to overtake. Put the vehicle in a lower gear and speed up. Sound your horn to signal the driver ahead to slow down. Keep left and allow plenty of room to let the other vehicle back in. 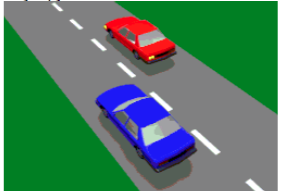 Brake quickly to let the other vehicle overtake. Move to the left and stop. Only on its right-hand side. Check to see it is safe, change gear if necessary, and signal your intention before moving out. Signal and slow down so you will have more room to overtake. Sound your horn, move out and overtake. Must let the long vehicle turn first. 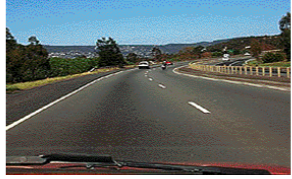 May move to the left-hand side of the road and pass the long vehicle. May pass the truck because it cannot turn left from the middle lane. The same as you would another car, with safety. 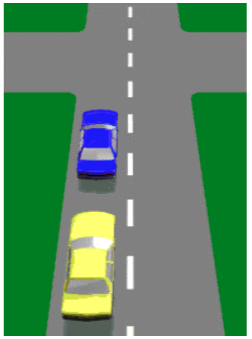 Drive as close as possible to the cyclist so he or she will move over and let you pass. Sound your horn to warn the cyclist to get off the road. Prepare to slow down to allow room. Speed up and not let the vehicle back in. 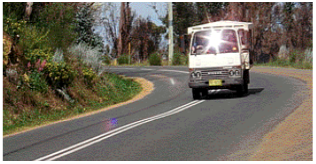 Flash your lights at the overtaking vehicle. 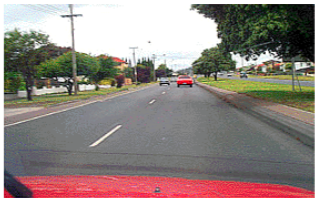 Make sure it is safe and the way is clear of oncoming traffic. Be restricted to driving an automatic vehicle. Have a personal speed limit imposed on you. You could lose your licence and may be sent to prison. You could only be fined and given demerit points. You could be given demerit points only. Crossed an unbroken lane line. Crossing an unbroken line at a curve. Not signalling to change lanes. Overtaking on the kerb side. Keep your position in this lane. 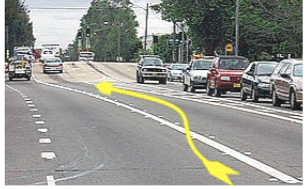 Accelerate away from the other vehicle and keep driving in this lane. Only when overtaking or turning right. When there is no other traffic around. Speed up while the other vehicle is on your right. 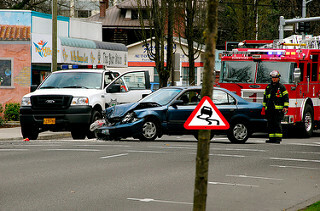 Slow down while the other vehicle is on your right. Take your vehicle from you and keep it stored for up to three months. Take your vehicle to the local police station and keep it till the following morning. Take your vehicle away and sell it at an auction. Your vehicle may be taken away and sold. You will have to pay for the storage of your vehicle. You will not be able to register your vehicle again. You will get three demerit points and a large fine. You will be given a letter of warning and fined. You will be fined a small amount and get one demerit point. Check your mirror and move back in behind the car. Accelerate quickly to get past. Immediately brake to a stop. 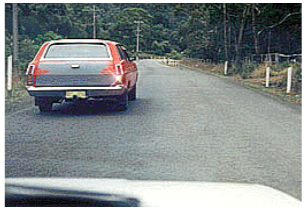 Be liable for a speeding fine and loss of demerit points. Receive a warning letter in the mail. Not receive any penalty as road works speed limits are only advisory. Slow down and look out for hazards. Maintain current speed if the road is clear. Give way to bicycles, vehicles and pedestrians. Stop and give way only to vehicles. Blow your horn to warn other road users. Only for 10 km/h or more over the speed limit.